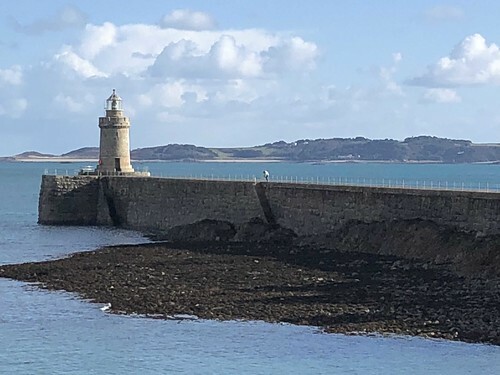 Today I had a work trip with my colleague Karen and we went over to Alderney to deliver some training on drug and alcohol and ACES. 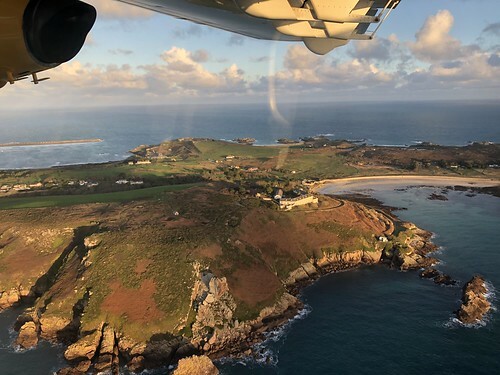 The flight itself was quite entertaining – I reckon the plane took about 12 people and the pilot sat on the arm of the front seat and said “so, it it might be a little bumping on landing but hang on and it should be just fine.”. It was a lovely day to go and visit, clear and bright but really chilly. The island is close to France and you can see it in the distance. It’s a funny little place; bleak and windy and there is very little there. During WW2 the all locals were evacuated and two work camps and two concentration camps were built by the Germans. I can hardly imagine just how grim it must have been out there in the middle of winter. It is home to about 2000 people and one the main sources of entertainment seems to be drinking alcohol. We went to the pub for lunch and the vast majority of those in there were drinking pints. It was a lovely day out. I would quite like to visit for a weekend but would not live there for love nor money! I am discovering the benefits of meeting clients outside of the office, especially getting then out and and about in the fresh air. 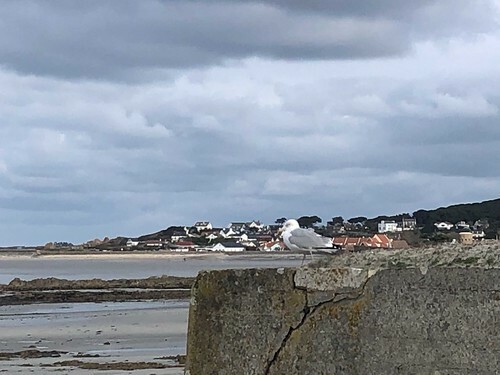 I have found that my clients are much happier to talk when we don’t have to look at each other in a formal office, so a cuppa by the beach or even a quick walk is pretty productive. Today one of my clients suggested I was going to ‘kill her’ as it was ‘too bloody cold’ but even she was smiling when we had a quick walk on the beach. 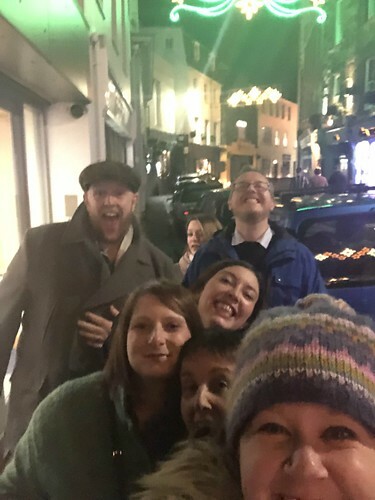 I have excellent colleagues and this evening we went out for a work Christmas do. Not a slice of turkey or a pig in blanket in sight. Instead we had excellent steak and delicious sides at a local restaurant. Oh, and pretty good red wine too. A good night out for us all! This week has been a bit mental and super busy. 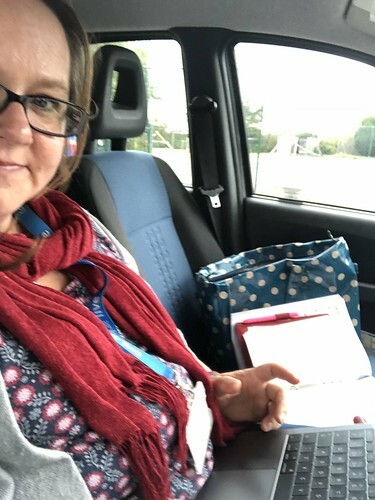 When I finished my appointments I sat in my car, in peace and quiet, and wrote up notes. Any opportunity I can get! Sometimes work can be really frustrating. Sometimes it can be sad. Sometimes, there is something that brings a smile to my face. 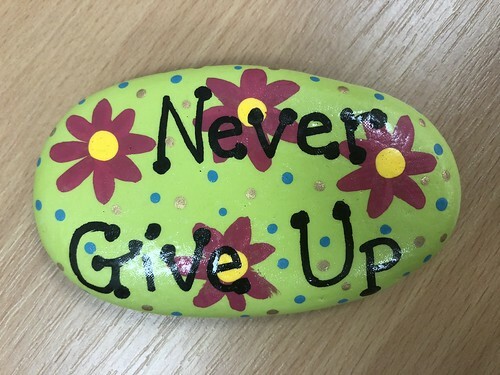 Today was one those occasions when a client who has just overcome some enormous struggles in her own life, presented me with this lovely painted stone. I will treasure it and remember that people are worth fighting for. 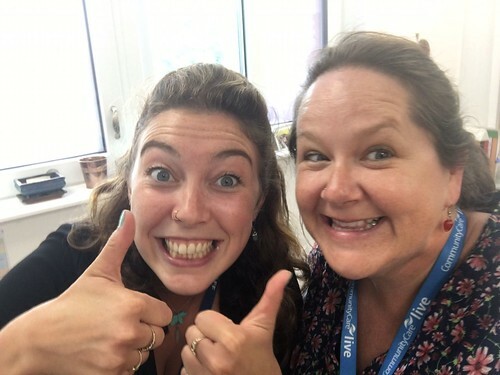 This is what happens when a work colleague leaves her mobile phone unattended on her desk. 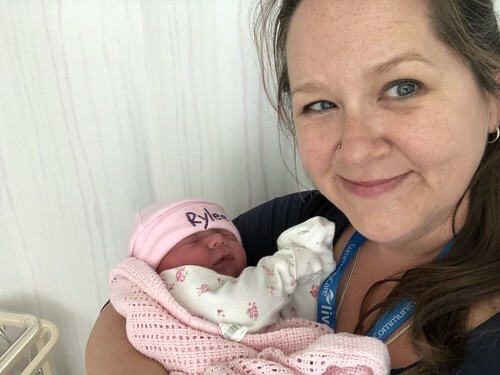 Sometimes there are great things about my job – like getting to cuddle this little baby. 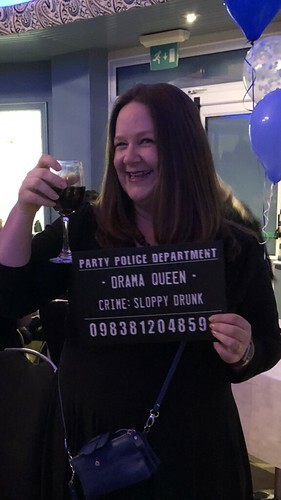 This evening I was invited to a retirement do for one of my police colleagues. One of the most fun things about my job is the amount of inter-agency work I get to do and I have made some really good friends in the police and other agencies. Today we had a team training session and once again we had the most fantastic view out over the castle breakwater and the islands. It made concentrating quite tough! So today I have had a really brilliant day, despite me feeling very skeptical about how it was going to go. 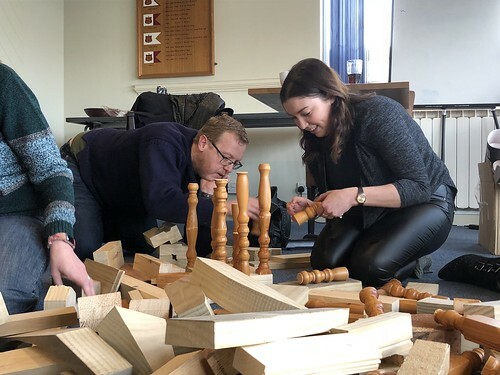 We had a team building day and I was worried that it was going to be all the things I hate most such as having to do multiple embarrassing ice-breakers. As it happens we had a fab day and the team were honest, open and we had great fun. It is (mostly) a pleasure to work with these guys and I am hugely fortunate to work with a team I like and whose company I enjoy.